WINSTON-SALEM, N.C. – Accelerated NanoTech, a startup medical device company founded by a team of Wake Forest School of Business MBA students, has proposed a new, faster and more reliable test for non-small cell lung cancer. This sharply reduces both costs to patients from hundreds of dollars to $10 and diagnosis time from days to hours. For their innovation, the Wake Forest team was named finalists in the Nanotechnology Startup Challenge. The Wake Forest team is one of ten winning teams in the Nanotechnology Startup Challenge in Cancer. 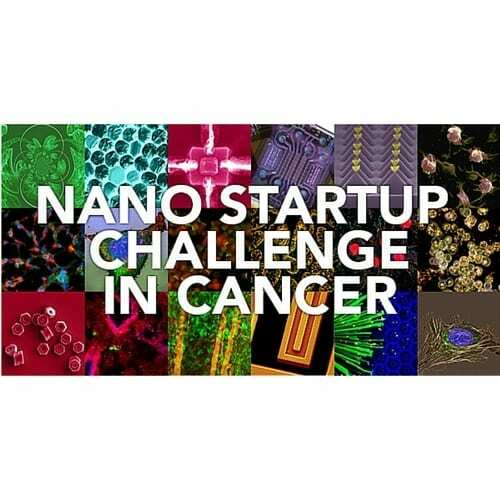 The Challenge features inventions conceived and developed by scientists at the National Institutes of Health, and business plans developed by teams to accelerate and increase the volume of commercialized cancer nanotechnology to market through startups. Students Kent Davidson, Jon Olsen, Dave Pearson, Alan Pernell, and Jeremy West move on to phase 3 of the challenge, which begins immediately. Accelerated NanoTech will now raise capital and apply for a license. A panel of expert judges examined 10-page business plans, financial models and 20-minute pitches from each team to choose the finalists. Each team receives a $2,000 cash award to form their startups. The new technology uses a carbon nanotube transistor array to provide DNA-level diagnostics. The electronic chip-based technology can be used at the clinical level with a hand-held device that identifies DNA biomarkers in tissue, respiratory droplets and blood to provide targeted cancer treatment. Current lung cancer biopsies may not provide enough sample size to analyze DNA biomarkers effectively. “Current technology is slow, expensive and requires chemicals,” Pearson said. “Our nanotechnology innovation uses electricity to confirm detection of the targeted DNA marker.” According to the American Cancer Society, lung cancer is the second most commonly diagnosed cancer in both men and women. Pearson said the MBA program has provided access to motivated entrepreneurs, supportive faculty advisors, and valuable classroom insights to support the team. The Challenge launched in October 2015, with more than 250 participants representing 28 cities across 13 countries. For more information on the challenge, please visit http://www.nscsquared.org. Media contact: Stephanie Skordas at skordas@wfu.edu or 336.758.4098.